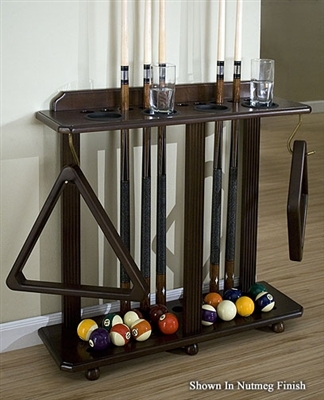 An attractive way to store up to 10 cues, 2 ball racks, balls and accessories all in one convenient area; keeping everything nice and tidy between uses. 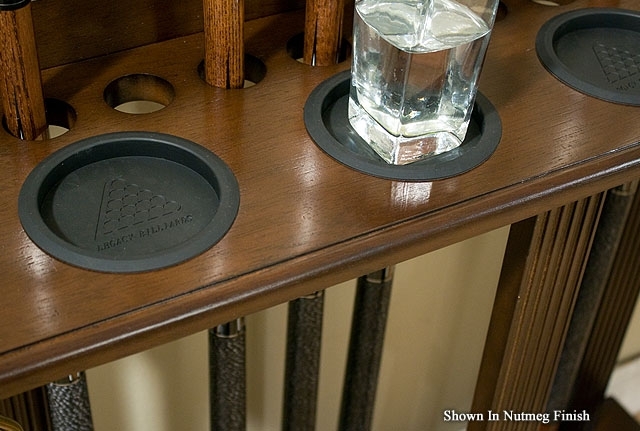 4 recessed areas on top can serve as beverage holders or chalk cups. Available in Port, Onyx, Traditional Oak, Black Cherry, and Nutmeg finishes. Dimensions: 30" x 9" x 28-3/4"